Normotus is a cough suppressant syrup containing dextromethorphan as active principle. This medicine inhibits the cough reflex at the central nervous system. Each ml of Normotus contains 2 mg of dextromethorphan hydrobromide. Normotus is indicated to alleviate irritative or nervous cough when not accompanied by expectoration. This syrup is suitable for adults and children from 2 years old. 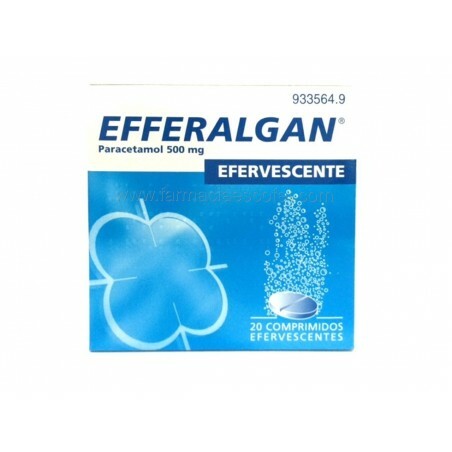 - If you are allergic to dextromethorphan or any other part of this medicine. - If you have chronic cough, asthma, coughing, suffers from a lung disease, liver or atopic dermatitis. - If the patient is bedridden, weakened or sedated. - If you are currently being treated with any other medications. - If the patient is a child younger than 2 years old or a pregnant or lactating woman. No alcoholic beverages must be ingested during treatment with Normotus. It is inadvisable to take this medicine together with bitter orange juice or grapefruit as they may increase the adverse effects of this syrup. This medicine may cause drowsiness or dizziness so driving or operating dangerous machinery is not recommended while being treated with this medicine. Normotus contains mannitol, it must be considered in the case of patients with intolerance to certain sugars. - Adults and adolescents over 12 years old: administer between 5 and 10 ml every 4-6 hours (depending on the intensity of cough). Should not exceed 6 administrations per day neither 60 ml of syrup every 24 hours. - Children between 6 and 12 years old: administer between 2.5 and 5 ml every 4-6 hours (depending on the intensity of cough). Should not exceed 6 administrations per day neither 30 ml of syrup every 24 hours. - Children between 2 and 6 years old: administer between 1.25 and 2.5 ml every 4-6 hours (depending on the intensity of cough). Should not exceed 6 administrations per day neither 15 ml of syrup every 24 hours. - Children under 2 years old: do not administer this medicine, is contraindicated for children under 2 years. It is recommended that the amount of medication is measured using the metering taking in the box and drink the medicine directly from it. The dispenser must be washed after each use. Consult your doctor if the cough persists after 7 days of treatment or if it appears high fever, persistent headache or skin rash. - Digestive: nausea, vomiting and constipation. - Neurologic / psychological: headache, dizziness, drowsiness, dizziness and confusion. In case of overdose or accidental ingestion The following symptoms may occur: restlessness, nervousness, irritability, excitability, confusion, nausea, vomiting, drowsiness, dizziness, blurred vision miosis, mydriasis by paralysis of the ciliary body, nystagmus, ataxia, urinary retention, stupor, toxic psychosis. Sometimes light and comatose respiratory depression may appear. There have been cases of misuse in adolescents. In these cases they have been recorded: gastrointestinal discomfort, anxiety, panic, memory loss, agitation, lethargy, hallucinations, vertigo, tachycardia, hyper- or hypotension, mydriasis, nystagmus, tachypnea, fever, and in severe cases, convulsions, loss of consciousness, cardiac arrhythmias, respiratory depression and death.